Allen & Heath Xone 22 Replacement Cross Fader AH-003-876X DJParts - All Variety of Parts that DJ Needs. Allen & Heath CrossFader for Xone 22 mixer. 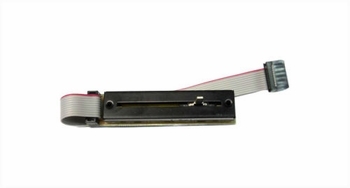 Fader on PCB with ribbon cable.